Reliance Industries Limited (RIL) Chairman Mukesh Ambani on Thursday laid out his plans to unveil a 4G mobile network in the country, including making all domestic voice calls and roaming free, while asserting that data would be priced well below its competitors. 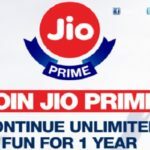 As a part of this, Reliance Jio introduced a free preview offer for all, under which anyone can get a Jio SIM from Monday and usage will be completely free and unlimited until December 31. Which is true, but there’s a catch – the unlimited offer actually has a 4GB limit on it, that’s revealed in the company’s plans details. 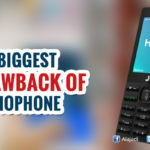 The company would seek to have 100 million customers in the shortest possible time as it builds out its 4G network across the country. 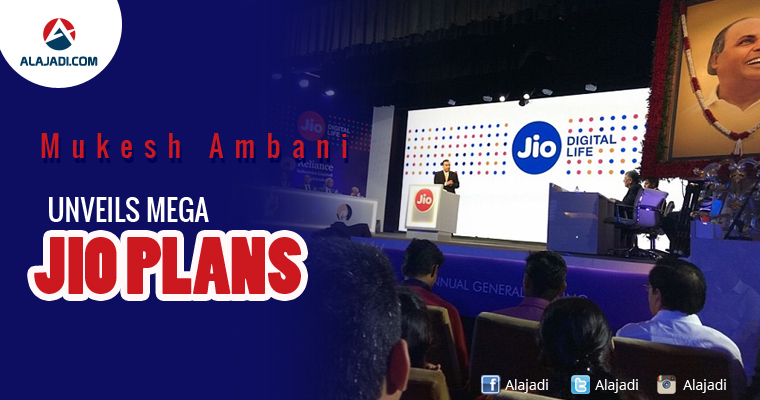 Mr. Ambani announced a ‘free welcome offer’ for Jio customers from September 5 tol December 31. 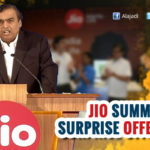 Reliance Jio will offer users data services free for four months, after which it will offer 10 tariff plans starting at Rs 19 a day for occasional users, Rs 149 a month for low data users and Rs 4,999 a month for heavy data users. The company also announced “super-affordable” handsets under the LYF brand, starting Rs 2999. 9. “Super-affordable” handsets under the LYF brand starting at Rs 2999.